Sure, you could get some lake island with a house on it on the cheap, but those untouched bits of tropical paradise will cost you eight figures. Climate change and rising seas may kill the dream of buying a private island someday, but today isn't that day. Whether you're a Baby Boomer who grew up watching Gilligan's Island and thinking "I could go for shipwrecking the Minnow right about now" or a Millennial who sees DJ Khaled's video for "I'm The One" and thinks a private island may be the best way to get Quavo (or a lesser member of Migos) to your house, a private island is still an option for homebuyers. Granted, the "private island" that comes to mind when you think of that phrase may be somewhat less attainable. If you want to live on a Great Lake, on an island in an intercoastal, somewhere in the Prince Edward Islands or just between Connecticut and Long Island on the Long Island Sound, that might be an attainable dream. If you'd rather have an archipelago all to yourself in the Caribbean or South Pacific, you'd best get cracking on the latest technological advance, or pop hit. It takes a lot of cash just to have an island wired and plumbed enough for you to live there. It takes extraordinary amounts of money to get all of that infrastructure -- not to mention actual structures and the equipment needed to build them -- out to that island. If you want to hire enough labor to finish that project in enough time for you to enjoy the place, that's going to get costly as well. The folks at luxury marketplace James Edition know this and keep private islands in a portfolio of some of the priciest real estate on the planet. The buy-in price of their private islands starts north of $1 million -- and that's if you like skating home from the mainland in Sweden. If you want an island that's somewhere warm, private and already teeming with amenities, get ready to spend seven figures. With James Edition's help, we found 10 private islands just waiting for someone with the right temperament and net worth to call them home. Sometimes a private island isn't a tropical paradise. Sometimes, it's just a spot near the St. Lucie River away from the rest of the world, but close enough to it to get to the occasional Miami Marlins, St. Louis Cardinals or New York Mets spring training game. 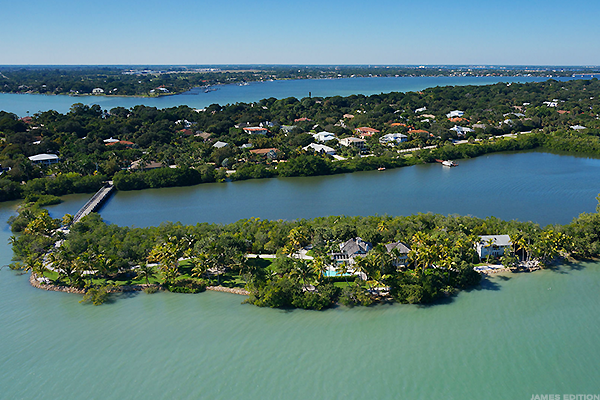 On a 3.4-acre island dotted with palm trees and lined with 2,700 feet of waterfront, this spot has its own bridge to the mainland, a pool, shaded patio and balcony, a small private beachfront and 10 acres of submerged land keeping developers away. The 3,000-square-foot main house has three bedrooms, two full baths and two half baths, while the 1,700-square foot guest cottage has one bedroom and one bath. As private islands go, this is about as convenient as it gets. 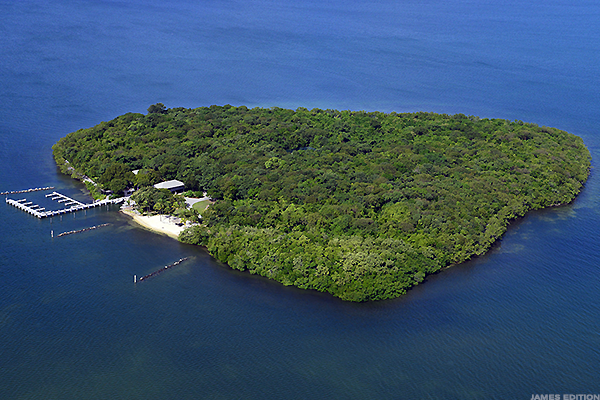 Know what the worst part of buying a private island is? Making it habitable. Electricity, phone service, internet, potable water: none of these things tend to exist in that pristine landscape you just bought for yourself. That's what makes North Saddle Cay so wonderful: it's already up and running. 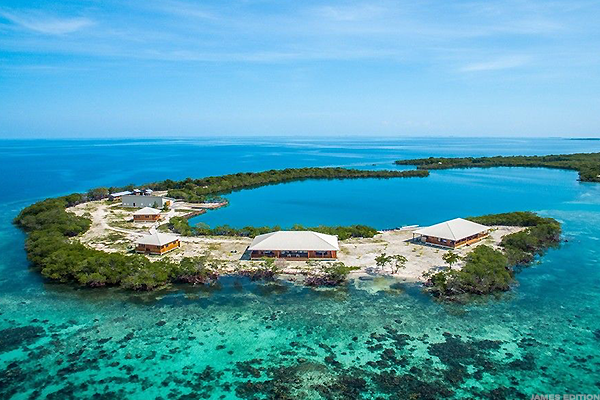 Unlike Leonardo Di Caprio, who recently acquired Blackadore Caye, an undeveloped island off the Northern coast of Belize for a multi-million dollar eco-friendly private island development project, you'll have a self-sustaining island in North Saddle Cay. Buildings include two twin luxury villas and two guest cottages. Both villas have 20-foot ceilings, fully equipped kitchens, matching master bedrooms with en-suite bathrooms and wall-to-wall glass doors capable of withstanding up to category 4 hurricane conditions. Guest cottages have kitchens, two bedrooms, full bathrooms a patio and outdoor showers. The island has its own lagoon, 240-feed of sea wall and docks and a boat house filled with fishing and boating equipment, a tractor, a mower and other equipment all included in the sale. More importantly, it has a solar-powered battery bank, reverse osmosis water systems, desalination systems, rainwater purification systems, a backup diesel generator and full sewage systems. Don't figure out a private island on your own if someone's willing to do it for you. The Abaco Islands in the Northern Bahamas have long functioned somewhat independently of the greater Bahamas they're lumped in with. A diver's paradise with underwater caves, turtles, rays, sharks and coral reefs, the Abacos are nature at its most pristine. Powell Cay is located approximately three miles northeast of Coopers Town on the main island of Abaco and about 180 miles off the coast of Florida. The 294-acre Powell Cay is largely untouched, with the southern 168 acres of the island owned by the government for a proposed nature reserve. The sellers are pitching it as "the ideal place for a boutique resort location or tranquil private retreat," but why share if the flora and fauna are your only neighbors. The northern 126 acres border the Atlantic Ocean, with the leeward side facing the Sea of Abaco and sheltered from the wind. The white sandy beaches on the north offer fantastic views of the ocean and sea, once you figure out how and what you're going to build there. In French Polynesia, there's a cluster that British Captain James Cook named the Society Islands in 1769. 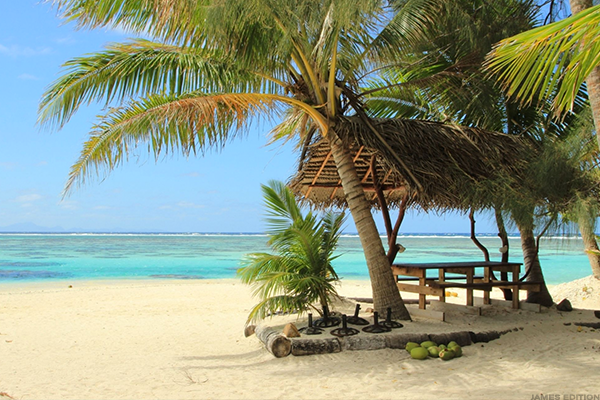 While travelers are familiar with Tahiti in the Society Islands' eastern, windward cluster and Bora Bora in the leeward west, they're somewhat less famiiar with Taha'a. Located just southeast of Bora Bora, Taha'a produces the overwhelming majority of French Polynesia's vanilla crop -- even smelling like it in parts -- and some of the most exquisite pearls in the world. These two lots -- one on Taha'a and the other on the Mahaea motu islet, facing the island -- represent a tremendous opportunity for an enterprising land buyer. The Taha'a plot is 42 acres spanning mountains and a lagoon: perfect for a potential resort. 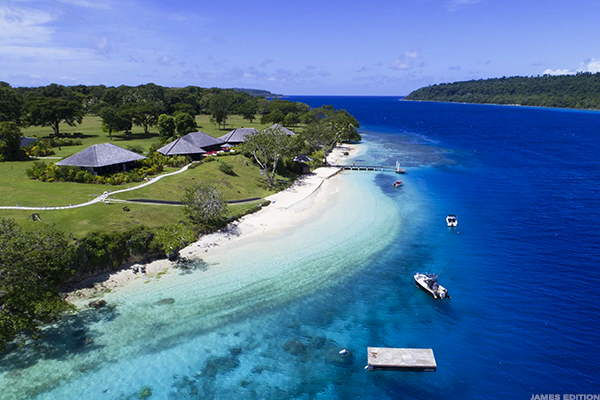 However, the Mahaea property is just four acres and a fine potential perch for a private island paradise. Make no mistake: you're getting an existing turnkey resort in the Eastern Caribbean to do with what you will. If you want to keep hosting weddings, honeymoons and family holidays for regulars and adventurers, fine. If you want to keep renting out hotel rooms and 29 guest cottages, go ahead. If you want to rent the 12.6-acre resort as a private island for the going rate of $125,000 a week, be our guests. However, the folks who've owned it for the last 30 years could have kept it all to themselves, but seemed to fare well running it as a business. It might be worth asking why they decided to share their slice of paradise. 5. "The Quintessential Private Island Retreat and Tax Haven"
The seller sees no need to be tactful about Vanatu's reputation as a tax shelter. Not just a Survivor filming location, Vanatu -- off the eastern coast of Australia -- is a big favorite among those who feel their earnings should fund not public services whatsoever. Vanatu has no personal or corporate income taxes, no estate or capital gains taxes, no exchange controls and no reporting requirements. There's a value-added tax for goods and services on the island and some customs fees, but those pinching every penny of their wealth won't have to share a bit here. That makes it prime real estate for a Bond-villain lair like this 800-acre Lataro Island. Billed as "90% is untouched by man, this collection of old-growth rainforest and wildlife is surrounded by nearly four miles of coral reef and is the last home of the endangered Coconut Crab. However, it's also home to four separate Bailanese-style buildings connected with undercover walkways. A kitchen, bar, dining and entertainment area around the swimming pool and media room/office/study and play room are scattered throughout the complex, as is a large two bedroom guesthouse, a self-contained manager/caretakers house, separate staff housing for up to eighteen and a huge maintenance shed. There are boat moorings just off the property and super yacht anchorage is in the bay just across from the property. Topping it all off is a grass airstrip that makes it easy to ferry guests on and off of the island or simply parachute crates of cash in as needed. 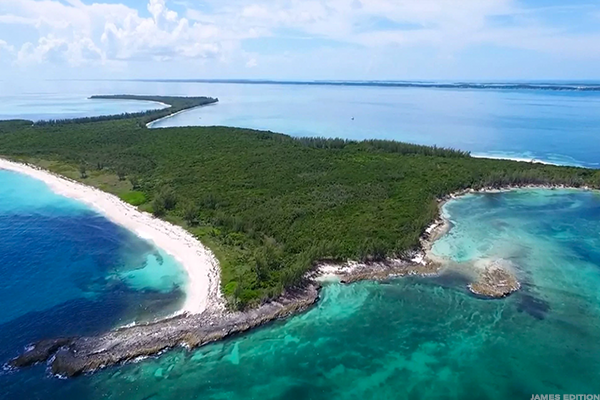 Yet another private island up for grabs in the Abacos, this one is just 20 acres and just 30 minutes from and international airport. From above, it already looks like a resort: With multiple docks, spits and homes dotting the landscape. The four suite main house isn't subtle with its vaulted ceilings, massive doors, limestone floor and wide covered verandas. There's also a three-bedroom guest house with cypress interiors, terra cotta tile floors and a crow's nest balcony above. 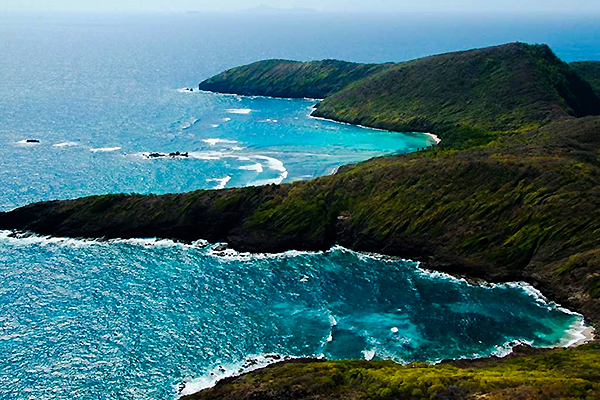 On the eastern end of the island, there is a small beach with prime snorkeling just offshore. The western beach is home to white sand beaches, still waters and a two-bedroom guest cottage of its own. A "cabana" filled with with gym equipment, a stereo system, a kitchen and bar spills out onto a tennis court, while underground electric and phone service, two large docks on either side of the island, automated standby generator, reverse osmosis water system, large capacity ice-maker, island manager's office, laundry facility and high speed internet access meet all the island's needs. When a 40-minute flight from Palm Beach gets you a boat ride's distance from all of this, there's a reason for that hefty price tag. 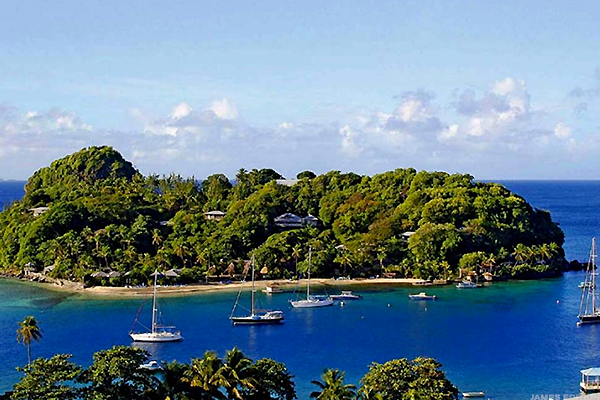 Just a short boat ride away from here, British socialite Colin Tennant purchased the island of Mustique, built new accommodations for its 500 or so inhabitants and made it a destination for a who's-who of British celebrities. Queen Elizabeth II, Princess Margaret, Prince William, Kate Middleton, Mick Jagger, David Bowie and Noel Gallagher of Oasis have all stayed there, it's dotted with private villas and its two hotels are regularly packed. A seller is hoping for a similar fate for Baliceaux, with 320 acres of mountains, flat glades and white sand beaches. The owners have made it clear that they're selling with development in mind, but that's a whole lot of island for someone willing to pay the right price. We have no idea why people are suddenly parting with so much of the Grenadines, but this uninhabited Marine reserve with elevated hillsides, stunning views and pristine white and gold sand beaches is on the block. 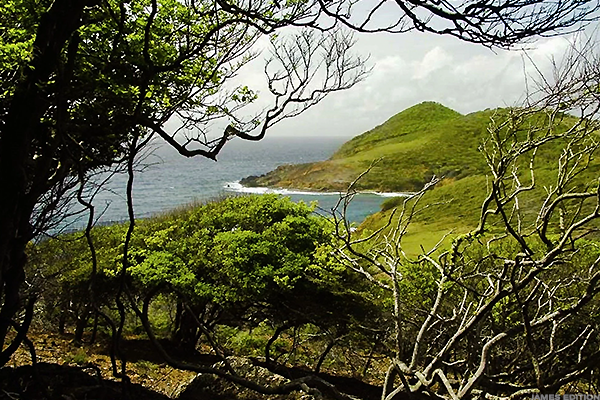 Comprised of 376 acres just 5 miles west of Mustique and its airport, the 400-foot lookouts apparently pleased one owner so much that they built an entire development plan around it. Already approved, that plan calls for low-density luxury villas, a marina a boutique hotel, a restaurant and various sports facilities. The government is offering some tax and residency concessions for potential buyers and insists it's flexible on that development plan. If your image of Key Largo is tourists "fishing" from cozy seats while charter boat owners do much of the reeling, retirees boating around the canals or Bertie Higgins singing an '80s easy-listening tune about a '40s movie, this island should change your mind. 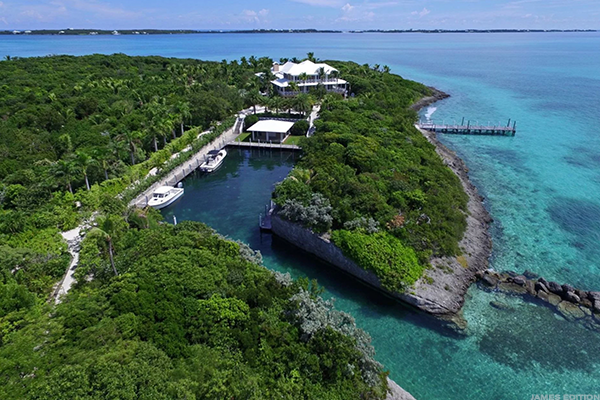 The 26-acre Pumpkin Key is ten minutes by helicopter to Miami's South Beach and ten minutes by boat to a dock at Ocean Reef, a private club in Key Largo, Florida with an airstrip for private jets. There are already water and electric hookups in place from shore to 12 large bayfront lots. However, there's just one main home with three bedrooms, two caretaker's cottages, and a dock master's apartment. The dock master office and 20-slip marina able to accommodate a mega-yacht are the biggest amenities, with the tennis court already doubling as a helipad. The folks on land are really hoping you'll build 12 cottages there and make it a resort -- or at least a portion of Ocean Reef -- but we wouldn't blame a buyer for taking this island all to themselves. That's the way Bogey would want it.